It’s the summer of 1980 and Bjorn Borg is the top tennis player in the world, dominating the sport both on and off the court. 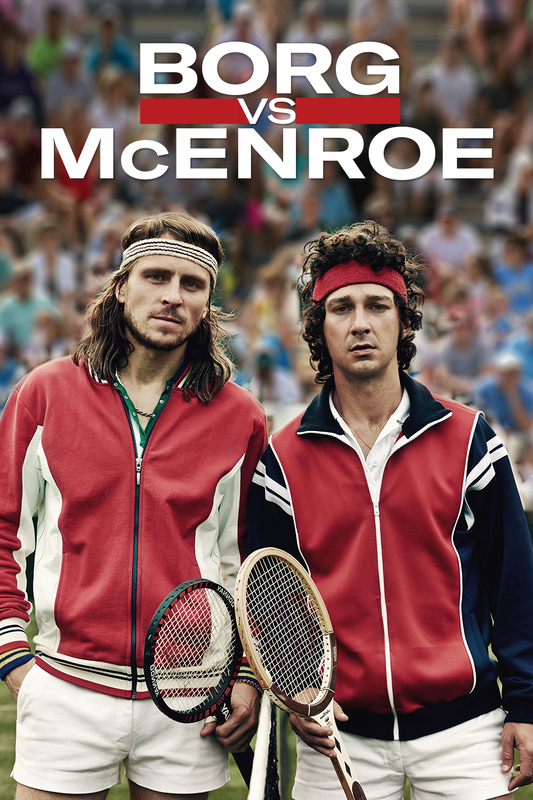 A powerful and rigorously disciplined player, there is only one obstacle in his pursuit of a record-breaking fifth Wimbledon championship: the highly talented but ferociously abrasive young American, John McEnroe. With three days until the tournament begins, Borg trains religiously in his lavish Monaco home, aided by his coach and mentor Lennart and girlfriend Mariana. But McEnroe’s explosive confidence and wrecking-ball persona continue to infiltrate Borg’s ice-cool and normally unshakable temperament. With each man the antithesis of the other, both players delve into their formative memories as the climactic tournament draws near and anticipation reaches fever pitch.